You might not know High 5 Games by name, but you certainly know some of the games they've produced for other developers. Da Vinci Diamonds and Golden Goddess need little introduction, of course, but the developer has been busy forming a solid platform on Facebook as well as in casinos, with its popular virtual casino games. Read on for a bit more information on High 5 Games (H5G) and don't forget to try out some great free play slots, available on these pages. From big land-based slots to social games, mobile and online, if there's a pie H5G doesn't have a finger in, we haven't seen it yet. The firm was founded in 1995 and produced its first video slot in 2002. But two milestones - the arrival of the massive hit, Da Vinci Diamonds in 2008 and producing its 200th game in 2009 - pushed H5G into the big time. Golden Goddess also proved a huge worldwide hit in 2011. They currently boast over 300 games played in over 50 countries around the world but High 5 Games has actually developed some hit games for other companies, such as Da Vinci Diamonds (the company's best-performing slots by some way) and Pixies of the Forest (for IGT), both of which have kept the land-based and online players coming back for years. Hot Hot Hot, meanwhile - produced in 1999 for Bally - remains one of the Vegas firm's biggest slots hits. But as much as the games have proved popular, it's H5G's innovative features that have endured. They masterminded 'Tumbling Reels' (the big feature of Da Vinci Diamonds), Split Symbols (featured in games like Cats) and Super Stacks. More recently, High 5 has moved into the popular Facebook social slots arena, releasing plenty of successful games for instant-play. High 5 Casino was named fastest-growing virtual casino on the social media platform back in 2012. 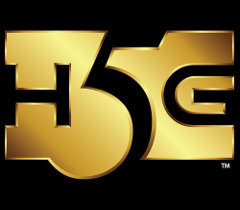 Although coming under the IGT banner, H5G actually designed the worldwide smash slot, Da Vinci Diamonds. The game features the 'Tumbling Reels' feature (now much imitated) whereby winning combinations explode from view on the reels and are replaced by the symbols sitting above. Cats - released in 2009 - features H5G's Split Symbols innovation where any payline can include up to 10 symbols. The game also has a 'Multiplay' version where up to four games of Cats can be played at the same time. Thundering Buffalo, a massive hit in US land-based casinos, and responsible for a million fan-filmed YouTube clips, features the now-familiar honeycomb reels and 720-ways-to-win. Eight free spins are won by hitting five Free Spins symbols on consecutive reels. Golden Goddess, produced for IGT, looks simple at first glance, but behind its 5-reel, 40-payline structure beats a slot packed with Wilds, a generous free spins round, and 'Super Stacks' for bigger wins. By now, we're sure you're itching to play some top H5G games for free. Check the links here; we have some of the biggest and best High 5 slots to try out without risking a penny.